Hey, commenterati! 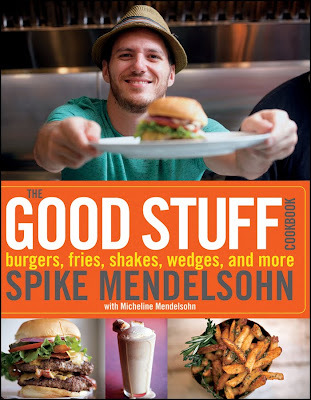 Want to win a copy of chef Spike Mendelsohn's brand new The Good Stuff Cookbook? Tell me what you love on a burger in the comments, and I'll pick a winner at 10 a.m. Thursday morning. The Good Stuff Cookbook, available May 31, includes more than 120 recipes for burgers, fries, condiments, shakes, salads and desserts. You'll find recipes for favorites from his Capitol Hill burger joint Good Stuff Eatery, like Spike’s village fries with fresh rosemary and thyme, Sriracha mayonnaise and the legendary toasted marshmallow milkshake. I'll try not to drool on my keyboard as I write: I love burgers with fresh crisp lettuce, cheese, maybe a slice of bacon or two? And then ketchup with a little mayo spread on the bun. Yum. Really smoky bacon and a fried egg. The combination of the yolk and the burger is soooo delicious. Marinated mushrooms and caramelized onions. Crusty roll. Yum. Bleu cheese, bacon and mushrooms- an unbeatable combination! I know it sounds simple, but I love a good piece of swiss cheese on a burger. Provolone or swiss cheese, lettuce, tomatoes, pickles and mustard-so much mustard that it squirts out of the bun when you take that first bite! Mushrooms sauteed in garlic and butter, with swiss cheese and a toasted brioche bun. Munster cheese, tomato, avocado and a little mayo. perfect! had a burger over the weekend with guac, provolone, some sriracha and red onion. yumm. a gooey fried egg with sharp cheddar cheese and spicy salsa. yum! Mmmmmm, I love me a burger with sharp cheddar cheese, caramelized onions, sauteed mushrooms, a thinly sliced tomato, and some jalapeno peppers. While I really love the fancy stuff on my burgers-- caramelized onions, blue cheese, mushrooms, etc-- if I'm really craving a burger, all I want on it is processed American "cheese," pickles, ketchup, and some lettuce or thin red onion if I want to go the extra mile. Sauteed mushrooms. Melted cheddar. Bacon. Traditional. Delicious. And now...I'm dying for a burger. i never thought i'd say it, but i love a fried egg and bacon on mine...breakfast and dinner all together. I'm so old fashioned: cheddar, lettuce, tomato, onion (raw, not grilled), ketchup, mustard, mayo. I love avocado, caramelized onions, mayo, and blue cheese. I don't think all of those together (haha) but I like those ingredients whenever I can get them. I go for the basics--give me lettuce, tomato, cheese, ketchup, and mustard and I'm set! Avocado is a must. Toasted bun. Onions lightly stirfried- I want some crunch. Lettuce please. Spicey cheese- give me something with a bite. Lettuce, tomato, onions and pickles with a thick slice of monterey jack cheese melted over all of it like a blanket with ketchup, spicy brown mustard and some hot sauce in a toasted bun. bacon and really melty blue cheese. yum. Some nice applewood bacon with some spicy pepperjack and fresh jalapenos set off a nice mid rare aged angus burger like no other. Lettuce, mayo, pickles, cheese, bacon and onions. Mmmmm burgers. I love bacon and blue cheese on my burgers! It is not what is on the burger, but what is in it that makes it for me... I am a huge fan of Lamb Burgers! You can top them with just about anything. i love a burger that's topped with avocado, bacon, and sauteed mushrooms. sauteed onions, mushrooms and ketchup. Fried egg, cheddar cheese, and two slices of onion. I love green olives on a burger, but have a hard time finding a restaurant that offers them as a topping. They're especially good with a sharp cheddar and mustard. Bacon, cheese, bacon, sauteed mushrooms, bacon, caramelized onions. And bacon. I love all sorts of different cheeses - especially brie and goat - and onion is a must! Muenster cheese, bacon, tomatoes, pickles, ketchup, mustard. Medium rare. Grilled bun. Yum! I like a nice smoked cheese (goudo for example) with some bacon and grilled onions. Sargento Chipotle Cheddar sliced cheese, Stubb's BBQ Sauce, Whole Foods 365 Bacon, sliced avocado, and a slice of red onion! YUM! Sharp Cheddar, Lettuce, Tomato, Onion and Jalapeno slices. Spicy bbq sauce, blue cheese, red onion, pickles, and romain lettuce. Mmm mmm mmm. Burger shmrger...the best of good stuff is the frites mayo dips. The cookbook would be worth it for the mayos alone. Tough call. I'd have to say applewood smoked bacon, fried egg, lettuce, tomato, mustard, and a great cheddar cheese...oh and some fried onions! YUM! YUM! thick slice bacon, grilled onions, cheddar cheese, schmear of mayo with catchup on the side for dipping. For a traditional take: cheese, ketchup, mustard, relish, and lots of lettuce! If I'm in a fancy mood, I like blue cheese, grilled onions and mushrooms. Barbeque sauce, carmelized onions and any kind of cheese. It's a heart attack waiting to happen, but beef marrow on a nice juicy sirloin burger is an absolutely decadent heaven. Mushrooms, caramelized onions, and cheese. Then throw on as many condiments as possible and perhaps some pickles. I just had a great burger with spinach, tomato, caremalized onions, and goat cheese. Delicious! smokd gouda and some banana peppers for crunch. yuuuuum! smashed black beans, avocado slices, red onion and a slice of tomato if it's August. De-lish!! Marinated mushrooms and... caramelized onions! De-lish!! i'm going to spike's tomorrow. I love barbecue sauce, bacon and cheddar on my burgers. i love green peppers, jalapenos, avocado, pickles, carmelized onions, lettuce, mayo, ketchup, mustard, & one tomato (yes just one) on my burger. i just went to good stuff eatery for the first time yesterday and LOVED the blazin barn burger!! who would think to put pickled daikon and carrots on a burger?? 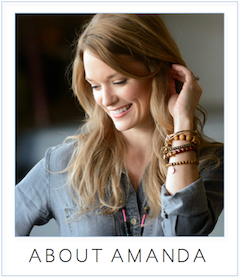 love the vietnamese influence! I am going to join the chorus of blue cheese lovers, and add arugula, tomato, and a layer of spicy brown mustard. Burger and Milk Shake recipes. What more can you hope for? That's a hard one because life is full of toppings. I'd say crispy fried onions and asiago cheese. Blue cheese and caramelized onions... maybe some jalapenos too! blue cheese, bacon, carmelized onions and tangy mayo! Must have bacon, cheese (doesn't matter what kind), mayo, bbq sauce, and it's always nice to top it off with some sauteed onions and mushrooms and...chilli!!! Yummmm! Dill pickles, sharp cheddar, bacon is a optional item, onion, ketchup, deli mustard. I'd love to give Spike a chance to redeem himself via me cooking his recipes. I like bacon and provolone! I love a burger piled high with maple glazed bacon, farmhouse cheddar, caramelized onions, a little lettuce, some pub style mustard, a splash of classic Heinz ketchup and a dash of a red pepper based hot sauce. I love stacks of carmelized onions plus extra sharp cheddar and smoky BBQ sauce. Yum!